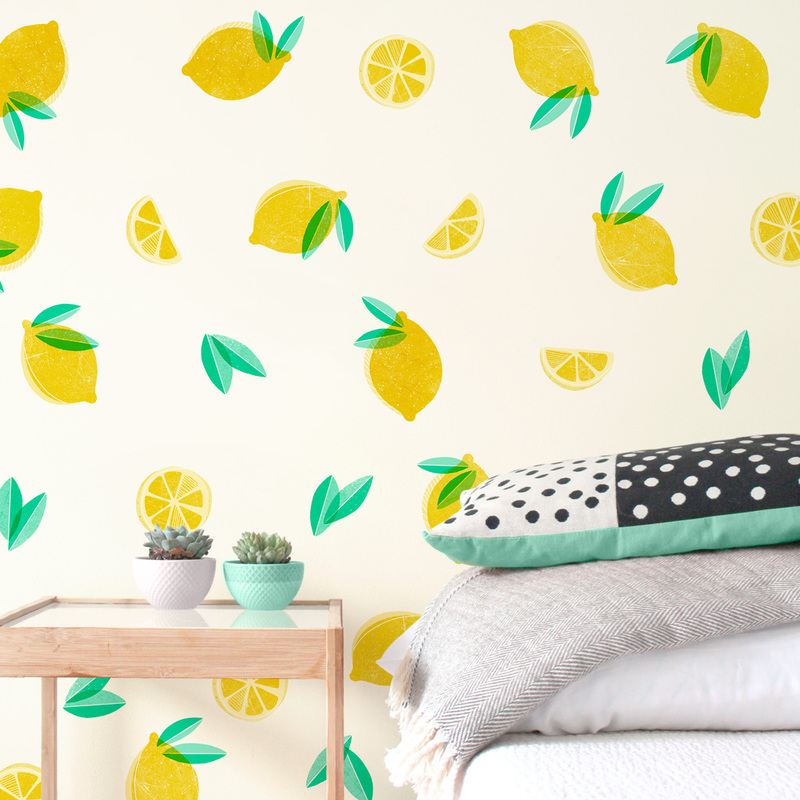 Your walls will turn into a citrus treat with this set of lemon decals. Perfect for any accent wall! About this collection: Taste, eat, repeat. The delightful YUM collection is a perfect way to add a dash of color here and there or create a rainbow of color in an exciting new space. Nutritional information: Fresh, delicious, and 100% adorable.